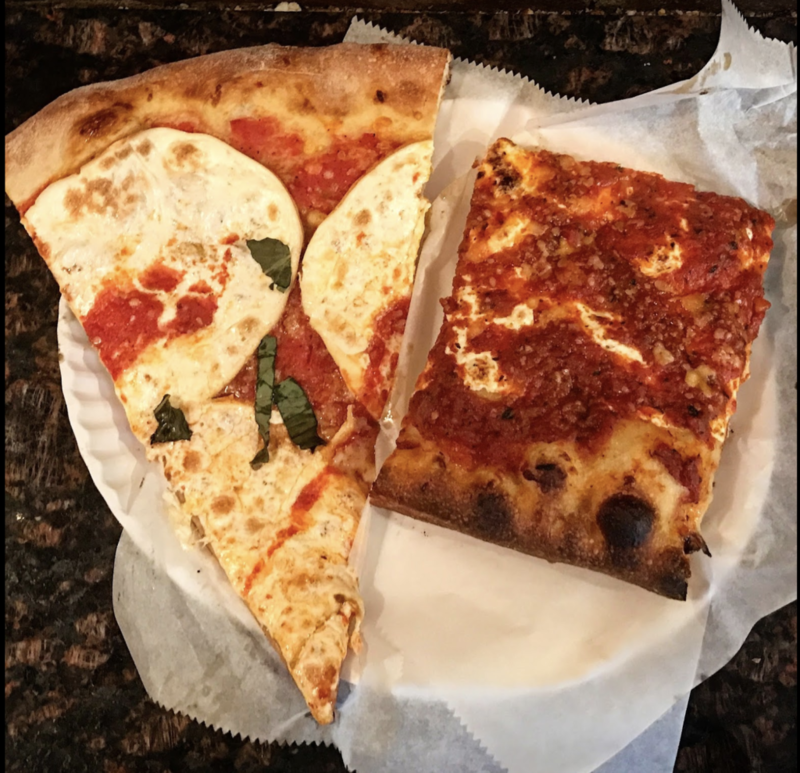 Last week, Pete Wells, the New York Times food critic, published an article highlighting ten of the best slice places in New York City. While pizza lists are ubiquitous these days, this list seems to have been particularly well circulated. Sure, it’s from the New York Times. But I was texted, tweeted, and e-mailed this list more times than I can count. From friends. From family. From colleagues. From media outlets. Pretty much everyone wanted to know what I thought. Did I approve of Pete’s selections? Yes. Were there omissions? Of course. Had I even tried all of them? 9/10. Today, I’m here to share my more detailed opinion about the list in the New York Times. And to provide you with a list of some additional places where you might consider grabbing a slice. The one place I haven’t been to is PQR. It’s a Roman style spot on the Upper East Side. I’ve heard good things. But I can’t comment on its inclusion. In addition, it’s been quite some time since I’ve had Williamsburg Pizza. And I really should pay another visit there before sharing my opinion about it. That leaves us with eight spots. 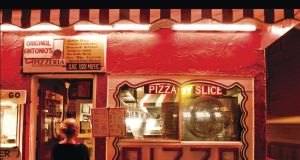 Joe’s and Patsy’s are two of my favorite slice shops. 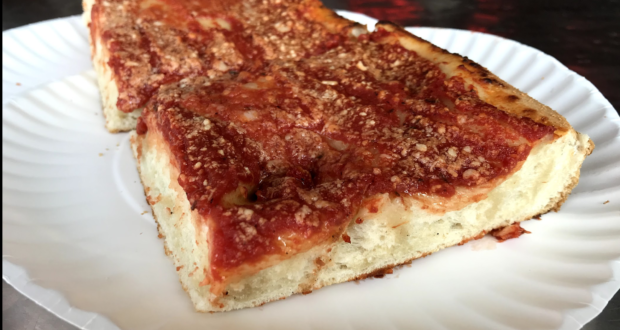 And they recently made the list of my own 10 favorite New York City pizza places (not just slice shops). Those are what I’ll refer to as “shoe-ins.” There are two more old school places that I really love: L&B Spumoni Gardens and New Park Pizza. Each has excellent square slices. And the regular slice at New Park is pretty solid, as well. 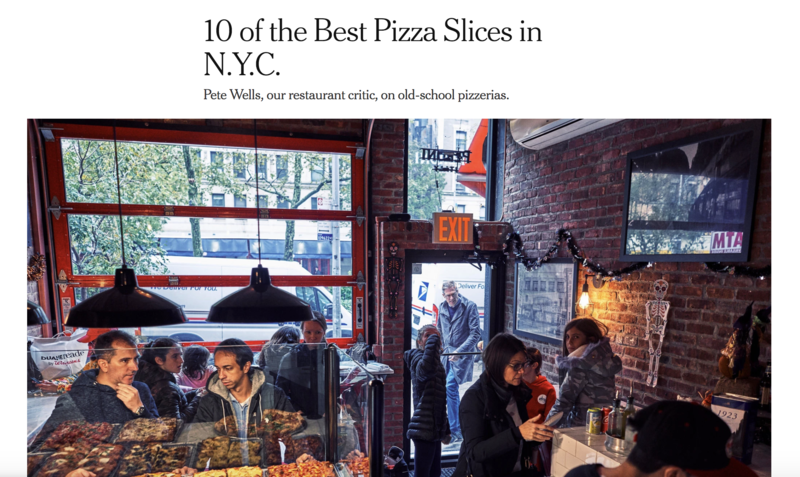 Do they deserve to be on a list of the top 10 slice places in NYC? Absolutely. So now we’re left with four wild cards: Mama’s Too, Paulie Gee’s, Scarr’s and Loring Place. My biggest peeve is with the inclusion of Loring Place on this list. Loring Place isn’t a slice shop. And they don’t serve slices. It’s a sit down restaurant that only serves full pies. Wells justifies “bending the rules” because the entire pie is “only about twice as big as a standard grandma slice.” No! A slice is a slice. A pie is a pie. There is no rule bending here. In making this one arbitrary exception, he effectively opens up his entire list to additional categories of pizza beyond the slice. 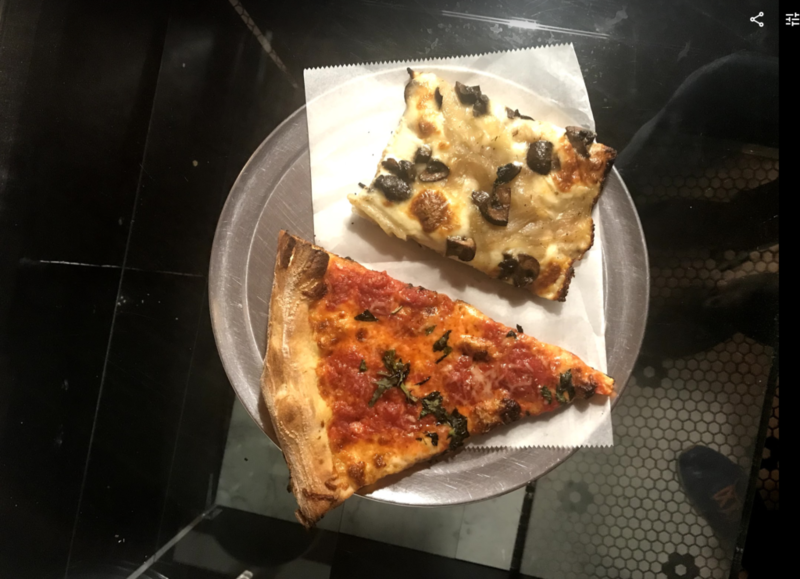 Is a Detroit-style pie from Emmy Square eligible? 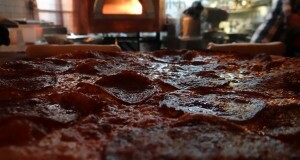 What about a Neapolitan pie from Roberta’s? That’s not so much larger than two slices from Joe’s. My point here is that the definition of a slice is very clear. At Loring Place, their pies start at $17 and creep up from there. It’s not a slice place and shouldn’t be included. I have no doubt that their pizza is delicious (I ate there about two years ago and recall the pies being good, if not memorable). But just not for this particular list. 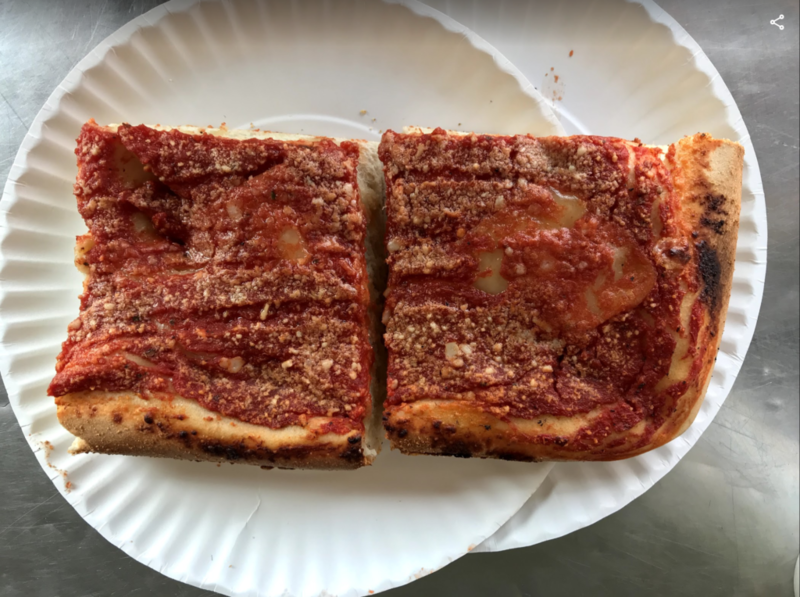 Paulie Gee’s Slice Shop is great. But it just opened three months ago. I love Paulie and his pizza is awesome. But I feel like Wells jumped the gun a little here. 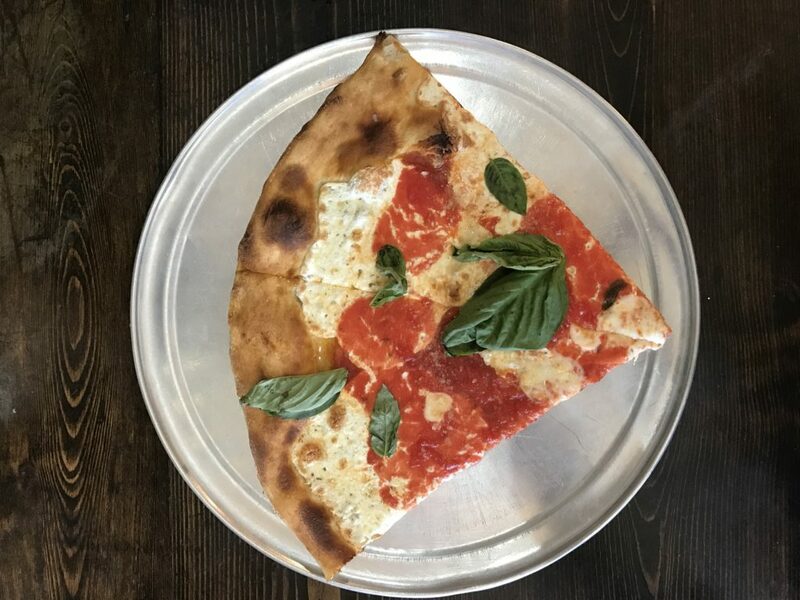 What I’m most excited about with Paulie’s new spot is how the pies will be refined there over time. This article came out before square slices were even available there. A New York Times food critic doesn’t typically review a restaurant so close to opening. How is this any different? Mama’s Too is also new, although they’ve been open for close to a year. I went this spring and really liked it. Wells recently wrote a raving review of the place, so it’s no surprise it also landed on this list. I’m cool with that. And finally, we have Scarr’s Pizza. It’s a place that I like. But I don’t love. Personally, it probably falls somewhere closer to the 20th best slice in my book. To me there were two obvious omissions from the Wells list. 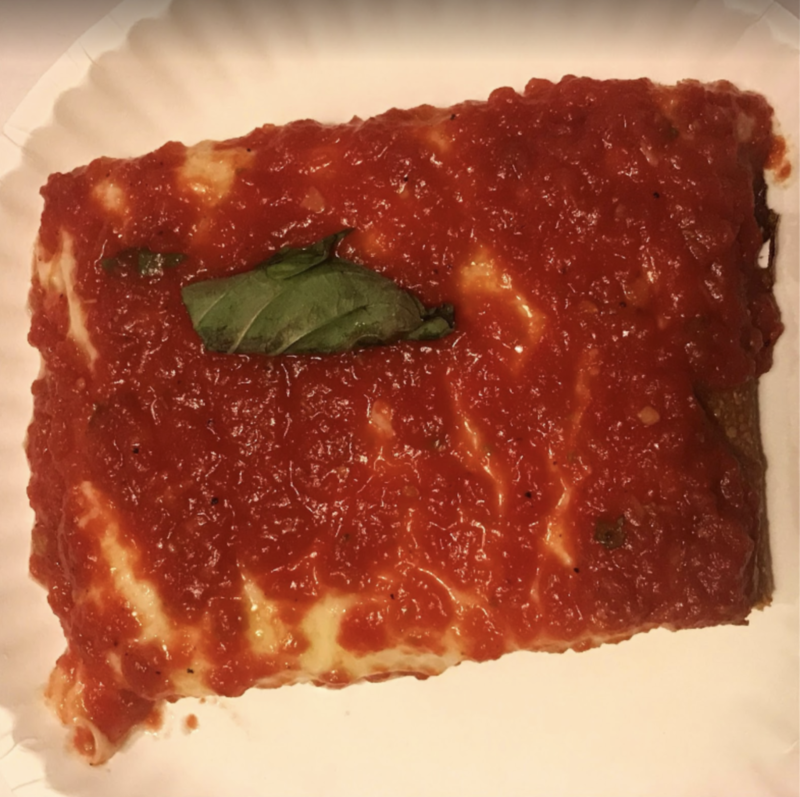 Prince Street Pizza in universally regarded as one of the best slices in NYC and the lines out the door are indicative of that. The other is Di Fara which serves both pies and slices. 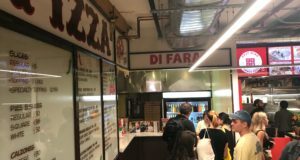 Although perhaps not as consistent as in years past, suggesting that a slice at Di Fara is less delicious than some of the other spots on this list, is nothing short of sacrilegious. My next nominee is another well regarded place, the no-frills NY Pizza Suprema, right outside of Madison Square Garden. 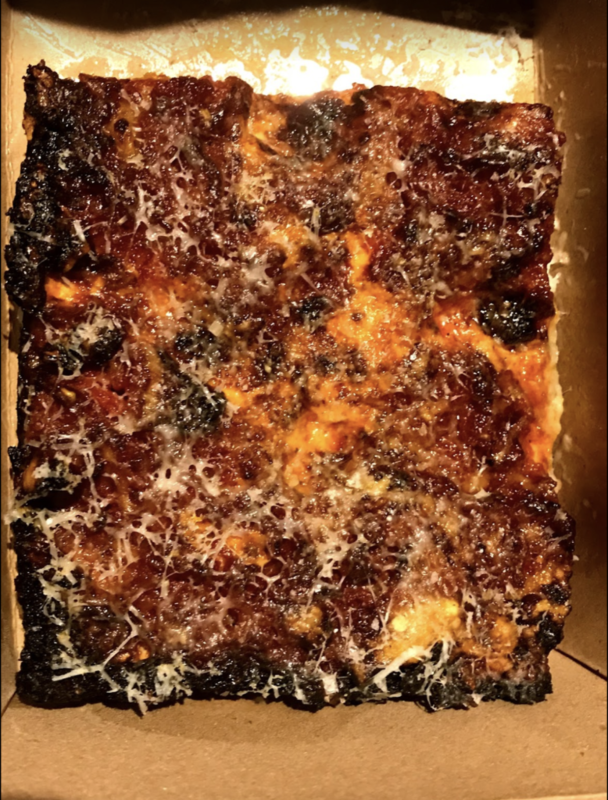 Walk by it, and you wouldn’t know that their upside down square slice (sauce on top of the cheese) is one of the city’s best. That’s it for the old school spots in my book. The next two might be more controversial: Table 87 and Gristmill. You might know Table 87 because you can actually buy a frozen incarnation of their slices at grocery stores across the country. 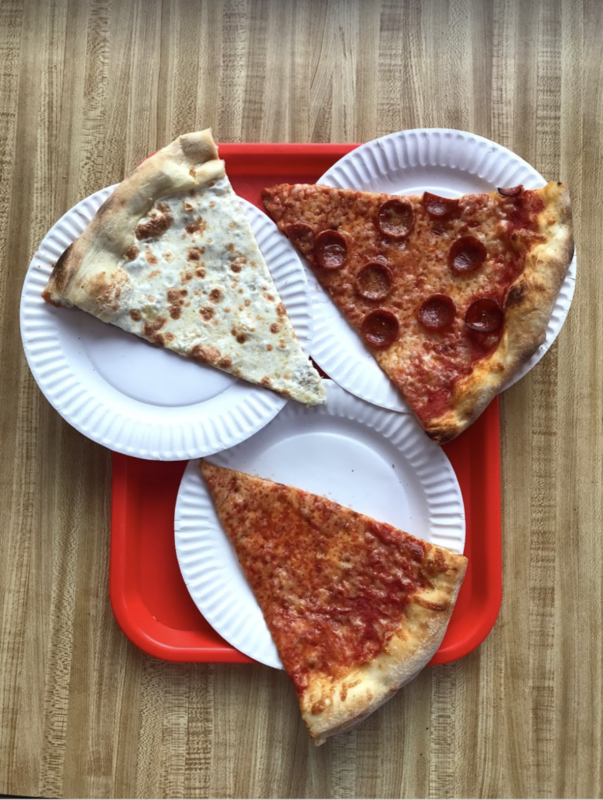 But the slices served at the front counter from each of their Brooklyn locations is highly underrated. They claim to be Brooklyn’s only coalfired slice place. And it always surprises me that they don’t have a more loyal following. My final spot is a more recent finding. Gristmill is a “farm to table” restaurant in Park Slope. The full pizza pies on their regular menu are decent. But at the bar in the front of the restaurant, they serve square slices which are incredible. The crust is made of freshly milled whole wheat flour, combined with sourdough starter. 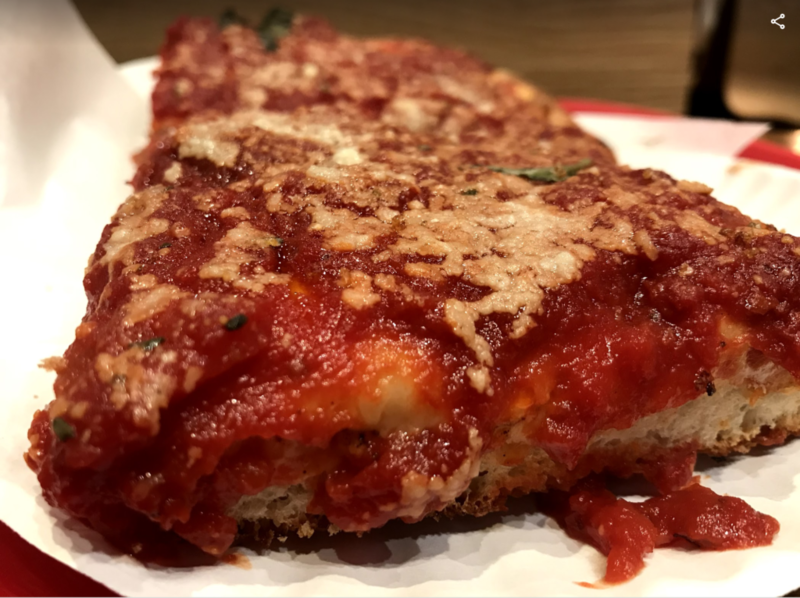 And the regular slice contains sauce as good as I’ve had, topped with freshly shaved parmesan that melts right into the sauce. The slice is in your court, now.